Samsung willfully infringed on a number of Apple patents, a nine-member jury ruled Friday, dashing Samsung's hopes of taking on tech's biggest name and walking away unscathed. The decision leaves Samsung to pay $1.049 billion (£664 million) in damages to the Cupertino company and signals the end to one of the most closely watched and hotly contested patent trials in history. 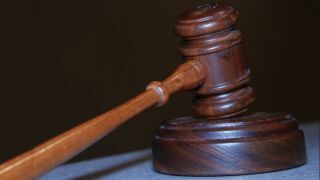 That figure is down $2 million from $1.051 billion (£663 million) after discrepancies were found in the jury's ruling. The seven men and two women of the jury also rejected Samsung's countersuit, meaning the South Korean company will walk away with nothing. The verdict brings an end to the four-week patent trial that left spectators and the industry reeling at the inner workings of two of the world's largest and most clandestine companies. In the end, the verdict probably surprised even the lawyers who argued all the way to the end. Design by design, patent by patent, U.S. District judge Lucy Koh read through the jury's decision, finding Samsung guilty on multiple counts of patent infringement for handfuls of Apple patents. The biggest violators among Samsung's accused devices were the Fascinate, Epic 4G and Galaxy SII. For the Fascinate alone, Samsung must pay $143 million in damages. It took the jury just over 21 hours to come to its decision, which hands Apple a win in a suit where they accused Samsung of stealing the technologies and designs that made their signature products - the iPhone and iPad - some of the most successful products in the world. Key to Apple's victory was the jury's decision that its patents were in fact valid. Samsung relied on this accusation in the hopes of eroding Apple's claims that Samsung took designs and technologies that were wholly unique. The jury didn't find it that way. Samsung devices like the Galaxy S 4G, Prevail, Vibrant, Infuse 4G and many more violated technology patents for features like "bounce-back," "pinch and zoom" and "tap and zoom," the jury ruled. The company was also found guilty of violating Apple patents covering designs like flat screens and rounded edges, as well as diluting the iPhone 3GS' trade dress in at least six Samsung devices. Most damning of all, and perhaps the greatest influencer for the amount of damages it must now pay, was the jury's finding of Samsung's willfulness in its actions. The jury determined that Samsung "knew or should have known" it was leading its divisions to copy Apple's designs and technologies, showing clear intent and little hope for Samsung's claims against Apple finding a favorable ruling. How Apple, and Samsung, emerge from this case - and what effect the ruling will ultimately have on the technology industry moving forward - will have implications for years to come. Tune into TechRadar for developments as they unfold.